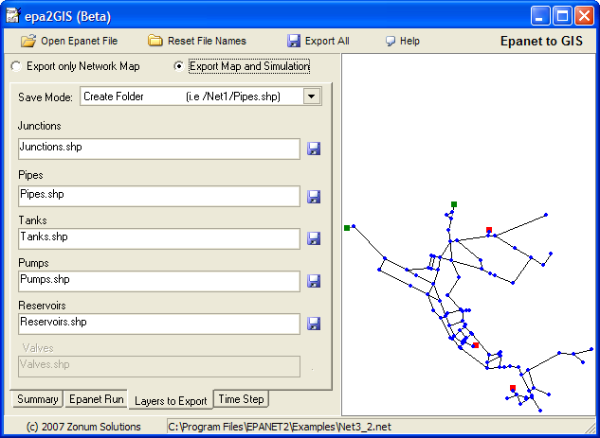 (SHP for transporting the Epanet project to GIS. application that supports ESRI shape-files. function library (Epanet2.dll*) as the analysis engine. doesn't need to be installed, just run it.